This is the eighth in a new series by shop regular, Chris Haas, The Book & Brew Review. I am a diehard Daredevil fan. I started collecting these comics roughly around late 2009. Since then, I’ve purchased and read every issue from 1982 on, with a few issues beforehand. 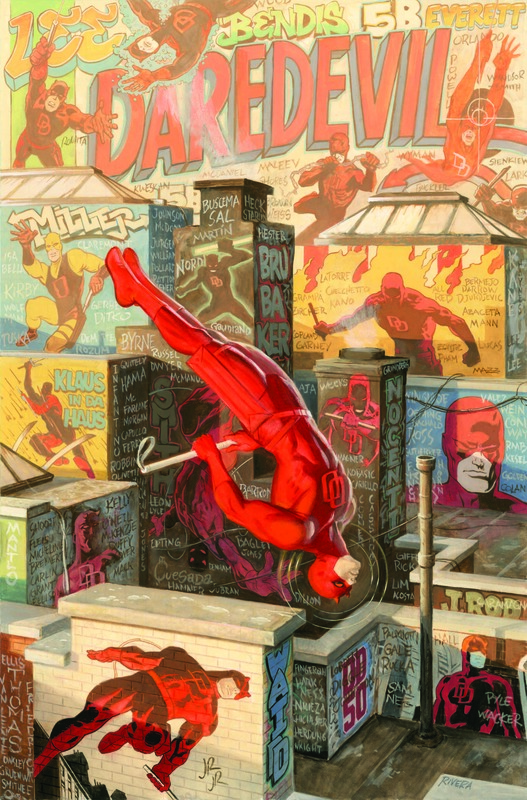 Sure, every series has some low points, but Daredevil proved to be an incredible exception. I love the graffiti style artwork covering the walls of the comic. And the best part is all the names covering said walls. Nothing pays better tribute to the history of such a great character than listing the many people responsible for shaping and creating the great Man Without Fear. Paolo Rivera should be proud of this cover. His work stands for itself. 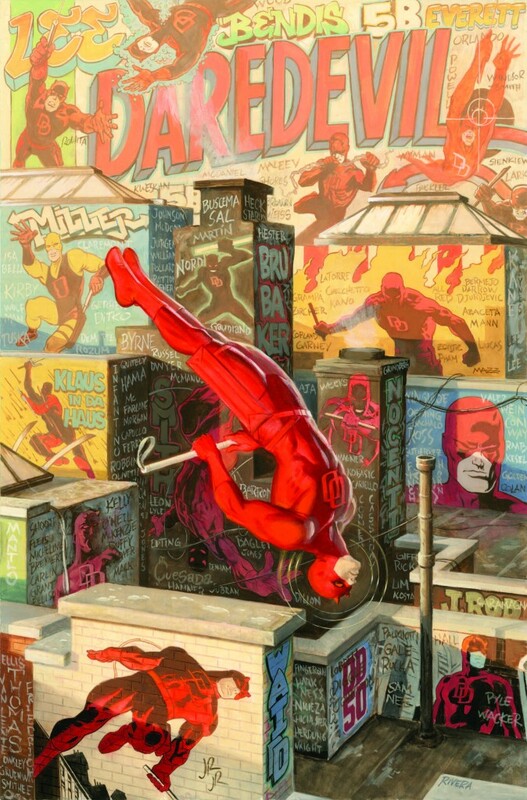 Daredevil will forever be flying through the air, ready to attack those that would threaten his city. Today we once again return to the wonderful world of stouts. I couldn’t pass it up as the name really jumped out at me. I’m a sucker for something catchy and this limited seasonal screamed catchy. The 22 oz. bottle comes corked, which was a bit difficult to pop if I must be honest. I couldn’t find a definite answer, so I will say that the beer’s alcohol level is either between 9 & 10%. The brewery is a local company out of Phoenixville, PA which is known for its 113 IPA. With Nihilist, they take on a style of beer started in the 18th century as an export from England to the Russian court of Catherine II. Overall, I wouldn’t call this the best Russian imperial stout I’ve ever had. It was decent but nothing to write home about. There was a slight chocolate flavor which is always welcome with this style of beer. The head was ridiculous. It took a bit just for the foam to finally settle. Once it did, the taste was smooth but it almost made me question whether or not I thought of it as a stout. It reminded me of a black IPA. This may not be a rave review, but I’m always happy to try a new brew. Consider this one checked off my vast list.